If you are looking to take your product or business to the next level, beyond traditional sales and simple supply-and-demand, you’re going to want to look at new ways to entice your audience and get them to close on purchases that they’d normally spend a lot of time thinking about. The peace of mind, knowing you got the best deal, is something we all want. Getting the best deal for both parties can be quite the feat. The way that businesses can make this become more of a reality is to offer bonuses and guarantees to their deals. Take, for example, the recent contract signing of NFL quarterback Colin Kaepernick. His recent negotiation with the team included the most expensive contract in the league’s history, with a record $126 million value and the added bonus of $61 million dollars in guarantees. At first glance, this may seem like the player got the deal of a lifetime and ended up the only winner here, but this contract is an example of what this concept can accomplish for the business, as well. They not only got their star player, but the contract is actually more favorable for them, financially, in that it includes the bulk of the money in bonuses and clauses to insure they get the full value of their product. Now that you can see the benefit and importance of bonuses in your offer and creating guarantees, you should know the right way of executing is what really closes the deal. Sometimes people want the bonus more than what you’re selling. The football example sort of applies here in that the player got the record-high signing bonus. Same goes for selling a product in the retail world. If your bonuses are some cheap add-on, it may end-up actually lowering the value of your product, rather than adding to it. Try to also make sure that your bonus is relevant to what you’re selling and don’t pile on the rewards, that just comes off being desperate to make the sale. Don’t be afraid to copy what your competitors are giving away either, or heck, one-up them at their own game. When you stay up late at night and watch those infomercials, you will notice the mountain of guarantees. Now, for them, it’s because they know that most people who buy stuff in the middle of the night, probably won’t capitalize on those guarantees because they weren’t making smart decisions in the first place. With that said, these product offer’s guarantees are instilling confidence in the buyer to trust your product. Give the buyer a Risk-free, money-back guarantee and they will have less hang-ups on whether they should buy your product if they really like it. The longer the guarantee, the less likely they are to ask for the refund, as well. If you have a ton of confidence in your product’s niche, this is the way to go, otherwise you might be overwhelmed by “buyer’s remorse”. Time is of the essence when it comes to successful marketing ads. The decision-making process of the consumer is done in a matter of seconds after seeing your ad. 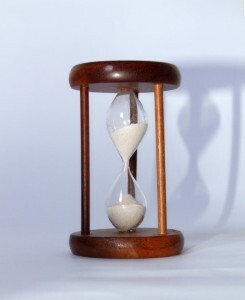 You have to instill a sense of urgency and force the customer to act before they run out of time. This also accomplishes another psychological feat of forcing the person to make choices that they normally wouldn’t make if not under pressure. Here’s the most effective, tried and true ways of injecting a sense of urgency in your ad campaign. The yard sale, the limited-time sale in its rawest form. People can’t resist a good sale, even if they have no real use for the stuff that they buy. Businesses can utilize the limited-time urgency to sell products that they technically don’t need to get rid of, but want to increase their sales. The key to creating an effective sense of urgency in the limited-time sales is to launch an all-out marketing blitz to gain as much exposure as possible. 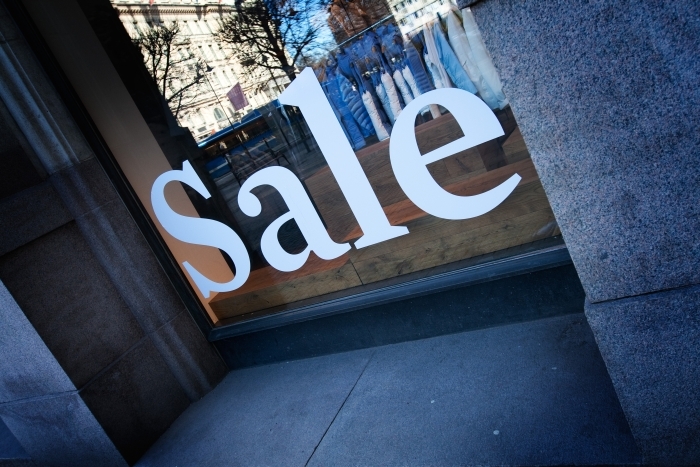 Running a limited-time sale should put a virtual clock in the consumer’s mind that, optimally, should continue to tick as they see the initial ad and are reminded about it again as the deadline approaches. This marketing strategy is one that is a lot slower to pick-up on for the average consumer. The most blatant abuse of this idea occurs in the electronics industries, where manufacturing capabilities often outpace the perceived demand. Apple achieves long-winding lines on the launch of their phones, but it’s almost comical at this point with how successful they are at creating the artificial launch shortages. The majority of the holiday success for businesses is reliant on this sense of urgency, that can be a combination of real and fabricated limited quantities and, of course, last-minute deals. A great way to express your limited-quantities is to give the consumer a number to force them to take immediate action. You could also limit the amount of purchases per-customer, even if it sounds silly, people take notice of these things as a demonstration of increased value. People love free stuff; who doesn’t, really? Incentivizing your product should be a way to add a sense of urgency, not necessarily to value because that would mean your product is lacking. Pair this idea with the whole “limited-time“ buzz to make for the best results. Adding an “Order now” bonus gift is a great way to reward returning customers as well as those who can’t resist a good deal. Adding free swag, like mugs and apparel, is a simple, yet effective way to get people to close-in on that purchase. It feels good to be rewarded for our actions. This sense of urgency is usually one that comes with little opportunity for regrets. 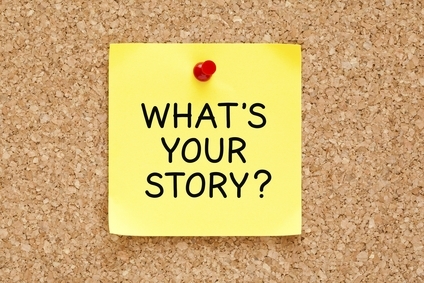 If you think about it, storytelling is found in nearly every means of communication. It’s hard to hold a conversation if you just spit out 1-2 word replies, or robotic statements. Language used can be almost as important as the message. It needs to captivate, persuade, connect, and entertain all in a way that doesn’t fatigue the reader. This is important if you want your stories to be memorable and standout from the sea of stimuli and information we encounter every day. 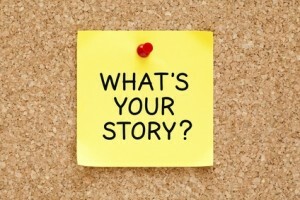 Superior stories get shared and retold, wouldn’t you like that to happen to your marketing strategy? The reader needs someone they can identify with, a protagonist, preferably. Never make your actual brand the physical hero or character of the story. You will just be alienating the audience with another infomercial story that they’ve all seen before. Instead, make the customer the hero, make them travel along with a story that is transformed by your brand! Lead your protagonist into a situation that solves some sort of problem with your brand. This is easy, marketing-101 stuff that you should already be doing. The only difference is how you’ll craft a story out of your hero’s scenario and making it believable. The best way to go about doing that is to insert visual and/or emotional roadblocks that are in the way from your character achieving their goal. This can be where your story really begins to shine as you can do something silly akin to the Rabbit and the Hare race and how your product allows them to skip to the finish line. This basic formula has been used time and time again for marketing, so try to mix things up and modernize the story. It can be hard to place your brand into the story if you’re telling stories that don’t have a good solid mentor or guide along the way. If the customer is searching to find a solution to their problem, it needs to be solved in a subtle way that doesn’t scream “buy this!” You’re the guy in the Matrix, Morpheus, whom merely presents an alternative or a solution, but it’s up to the customer to decide if they need it or not. If you’ve done a good enough job explaining the problem, then the means to reach their goal should be an obvious choice. Basic psychology is found throughout all marketing and copywriting agencies. Some people can be coerced into buying things they don’t need with simple tugs on emotional heartstrings, but most are a little more complex than that. You just have to figure out what makes people tick and take an honest look at the human ego. Most of our decisions are based on emotions, to some degree. They could be our emotions at that current time that are due to some unrelated event or outside stimuli caused by something at the time of the decision. This could be a certain need or desire that the person feels, rather than some logical basis of making their decision. Sometimes you can motivate someone to buy something based off of rash, emotional decisions, but other times you’ll need a little more substance to go along with that psychological motivator. There needs to be a benefit that allows the customer to feel good about their decision and a means to rationalize it. You have to know the value of your product or service in order to accurate gauge people’s interest and to successfully utilize these psychological motivators. Value is not calculated by complex math solutions. You have to research your competition, put yourself in the customer’s shoes, and determine how bad they want it. You can’t force the value (although some of the biggest brands are able to get away with inflating their worth tremendously). 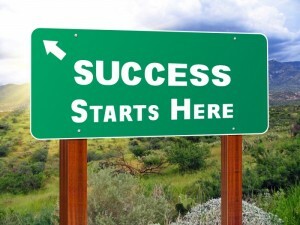 The best way to establish a connection with your potential customers is to be the helping hand. Don’t just do a pitch and sell them to the “promise land,” that’s the oldest trick in the book, and people will never take a risk like that on something they’ve never heard before. Give people something they know they’ll be able to glean something from, whether that is from effective demonstrations, free trials, or free advice. This is the easiest psychological motivator there is: create the image that you want people to succeed and not just view them as another CC number. The icing on the cake that will put your prospect’s minds at ease and close the deal is to wrap everything thing up with references, statistics, related stories, authority figures, and testimonials. Cheesy infomercial testimonials are just not going to work unless you’re airing in that sweet “insomnia hour” on television where people’s intuition is half-asleep on the couch with them. What are active and passive voice? First, it’s important to identify the subject of the sentence. In the active voice, the subject performs the action, which is described by the verb. In the passive voice, the action described by the verb is performed on the subject, rather than by the subject. At first glance, both of these writing styles appear to accomplish the same thing and there is no real difference. There actually is a subtle difference: the active voice provides a more succinct and clearer description, while the passive requires more dissecting and more words to get the point across. Now, a few more words doesn’t seem like a big deal, but if you’re using the passive voice for an entire report or story, it can be very laborious for the reader to get through. There are some applications in which the passive voice may be good to use. In science environments, it might be better to use the passive voice to emphasize the action, rather than the subject. For instance: during an experiment or recent discovery, it may be more useful to know how or why it was discovered, rather than who made the discovery. With that said, the trend of using the active voice over the passive has been steadily increasing over the years as styles of writing change. Even for the example given about the science community, publications are using passive voice much less, to gain a wider audience or mainstream appeal. In the end, you should learn to use both voices as a writer and which is more suitable for grabbing the attention of the reader. This can vary from industry to industry and genre to genre. You could very well write an entire book using the active voice, but that may get a bit boring for adult-level readers. For more professional publications, you may want to think about which voice is more appropriate to either depersonalize the facts or perhaps place emphasis on the subject to create patterns in a story. Both are key tools in a writer’s arsenal and both should be consciously selected based upon the style of writing that they want to achieve. 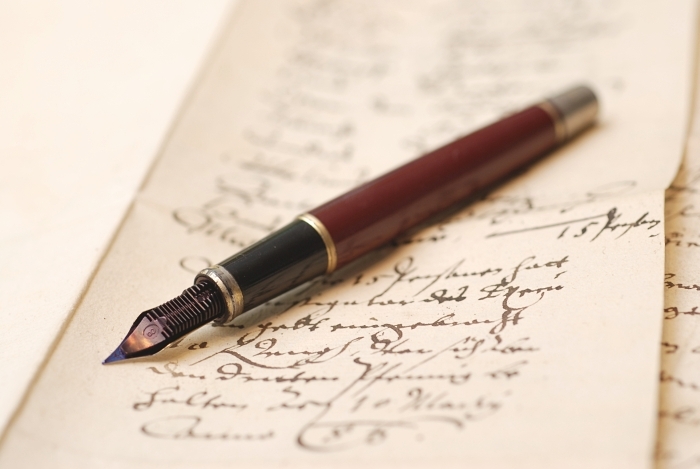 Successful writers, like Stephen King, will transition seamlessly from one into the other to accomplish his infamous-level of suspense, while journalists will utilize both to ensure an accurate delivery that the reader can digest. Free stuff is a great way to get lots of people to visit your webpage. One of the ways that you can offer free things to customers (and potential customers) online is by offering downloads of things like website templates, icons, special cursors, clipart, and more. All of these things are very easy to design, simple to host, and can be used by a wide variety of users for other purposes on their own webpages. Here, we will look at the benefits of giving away free stuff like this. 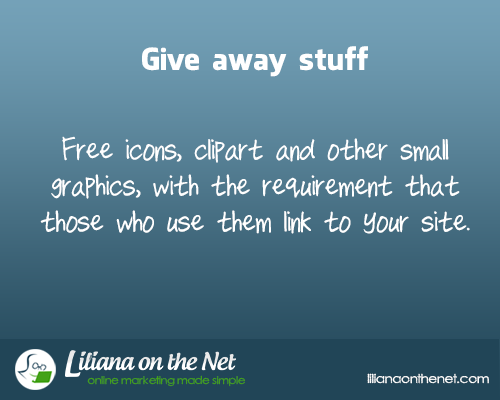 Clipart is a very popular type of free stuff giveaway that you can host on your webpage. You might want to think about offering such free stuff for download right on your page. Try to offer clipart that is somehow related to your business and the services that you offer. You may want to offer it on the webpage with a watermark, and then require that in order to get your clipart offered on your page without a watermark, the people contact one of your staff members via email. Then, you can ask them to help you bring more traffic in the way we will outline below. There are other small graphics that you can also offer on your website. These include icons for desktop applications, web themes for various browsers, special cursors and backgrounds, PowerPoint templates, document templates, and even avatars for use on messengers and social media sites. Again, you may want to think about just giving this free stuff away to anyone that wants it, or asking those who use these things on their own webpages to contact one of your staff members with a quick email in order to gain permission and get the free stuff without a watermark. 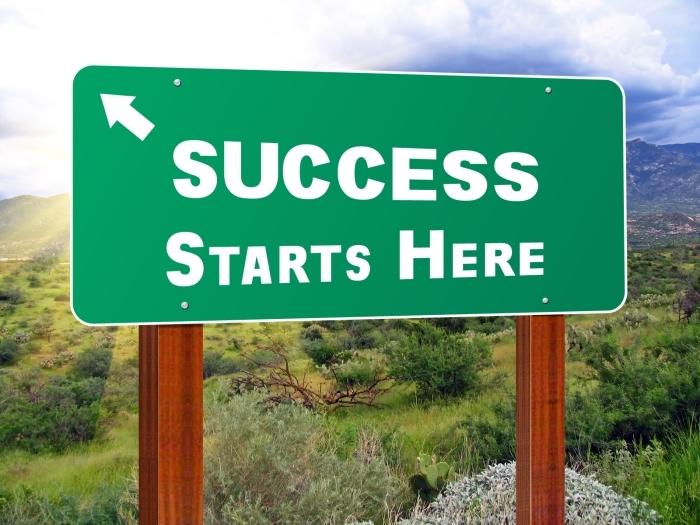 The goal of these sorts of giveaways is to get more traffic to your webpage. The simplest way to do that is to ask those that use any of the free stuff that you have given away on their own webpages to please link back to your webpage. In this way, other users who are looking for similar clipart, cursors, icons, and more will be able to click on your website, see what you have to offer customers, and also download some free stuff to use on their webpage, yet another place where your link will be posted.